This slim, silvery fish glistens in the sun as it rides the waves towards shore on the southeastern and gulf coasts. The commercial catch is far from enormous, but pompano are shipped everywhere (although not in the quantities its admirers would prefer). Mix together the four ingredients and marinatethe fish while you start your grill. The grill should be medium to hot. 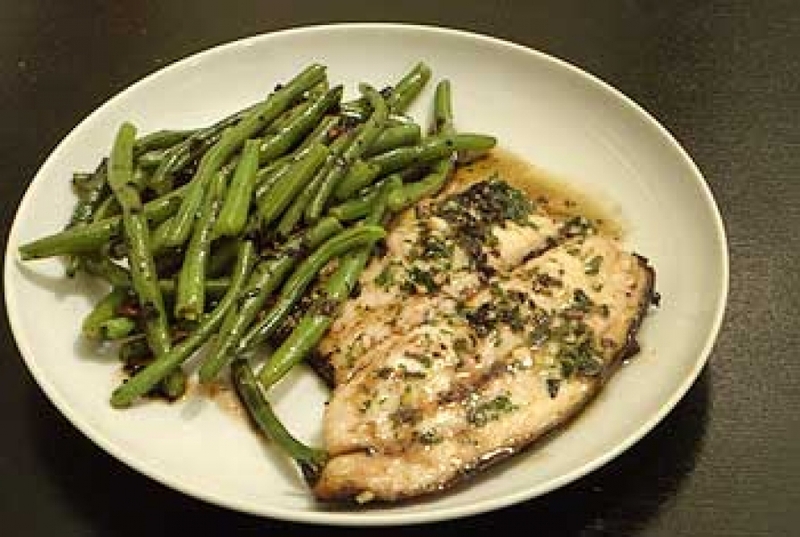 Place the pompano on a well oiled grill for about 8min a side , basting occasionally with the marinade. Garnish with rosemary and serve with lemon wedges. Preheat the broiler. Rub the fillets with the oil ,then with the garlic. Season with salt and pepper. Place in a non-stick pan and broil skin side up, about four inches from the heat sourse until the skin is crisp and the meat is white, about 4-6 minutes. 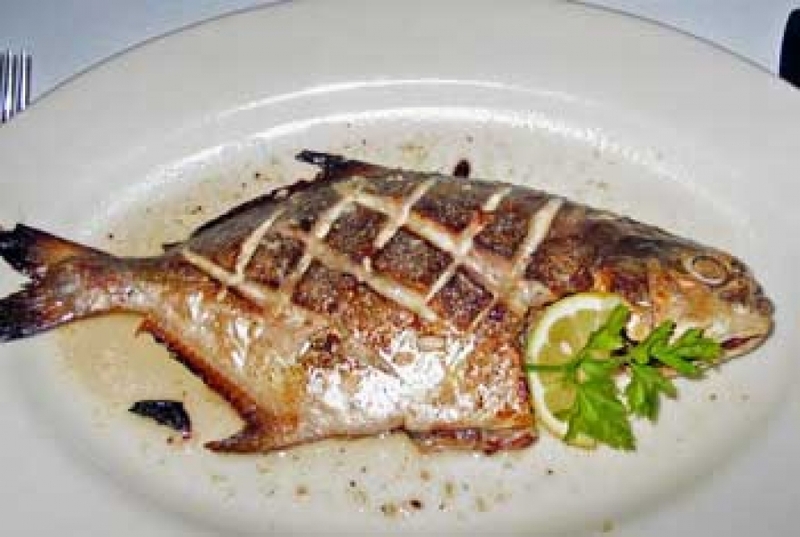 Remove the fish and place it on the serving platter skin side down. Simmer together the remaining ingredients for about 2 minutes. Pour, hot , over the pompano. Refrigerate for as little as 1 or as many as 6 hours. Makes 6 appetizer servings.